In case being a fast-food employee wasn’t hard enough, KFC is now putting its workers through a bizarre initiation rite: a creepy virtual reality “escape room” replete with narration from an omnipresent, mildly demonic-sounding Colonel Sanders. According to a press release obtained by eater, the chain is incorporating the VR environment — experienced via Oculus Rift headsets — into its employee training program to show trainees how to make its signature Original Recipe fried chicken. 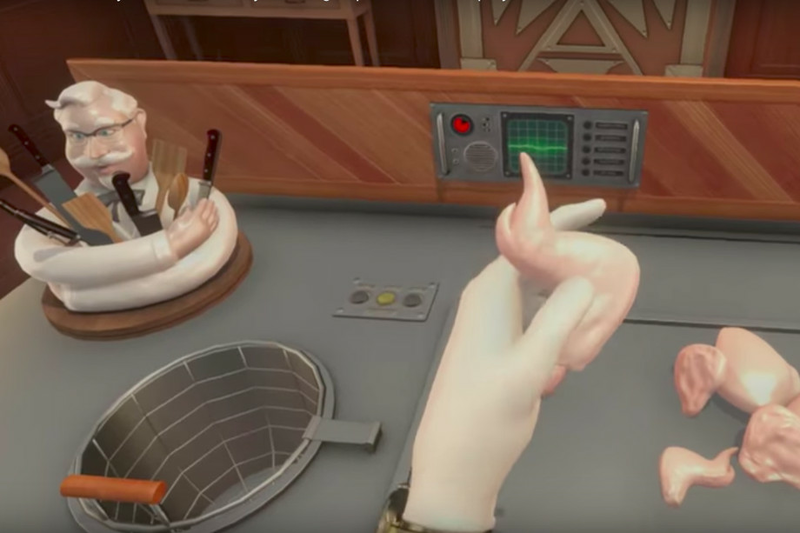 Employees will have to play as a pair of disembodied hands to demonstrate (virtual) mastery of the five-step cooking process — inspecting, rinsing, breading, racking, and pressure-frying — all the while being cajoled by a cackling Colonel. Experience KFC’s fast-food dystopian training environment at Eater.